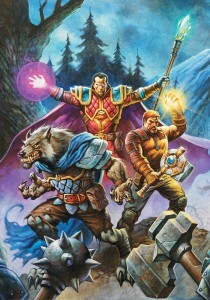 Here’s the official description of the long-awaited graphic novel World of Warcraft: Dark Riders: “A stalwart mage searches for a powerful artifact, stolen by Dark Riders, only to find his son accused of murder. A righteous priest, driven by a mysterious fervor, investigates a savage Wolf Cult. As the paths of these two men join, a fantastic adventure emerges! Supported by a cast of brave heroes, the two find out just how dangerous the wolf cult and dark riders are.” Hmmm, so just how furry is this thing? Well, check out the front cover below! And will the Tauren be involved too? We’ll have to wait until April of 2013 to find out for sure, but you can order this full-color hardcover book at Amazon right now. It’s written by Mike Costa, illustrated (inside) by Neil Googe, and published by DC Comics. 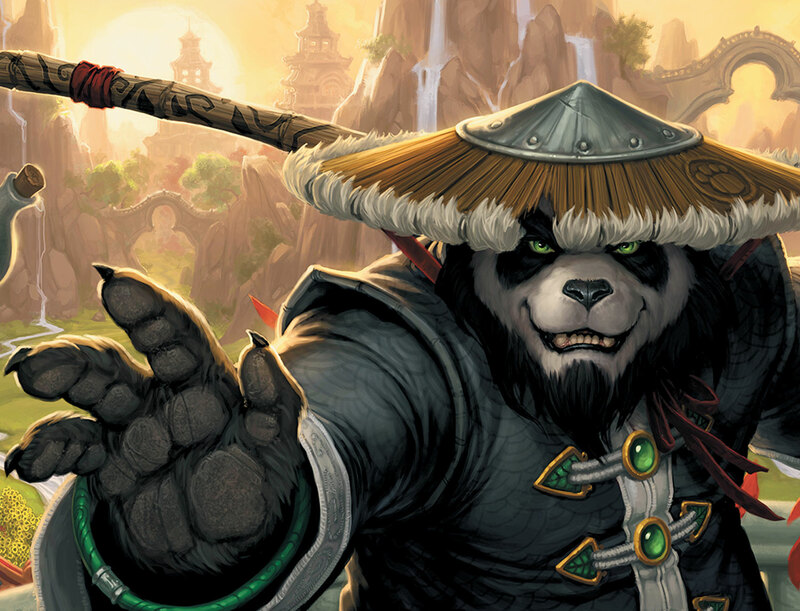 As foretold by ancient lore, a race of anthropomorphic pandas – and their homeland – are to feature in World of Warcraft's new expansion, Mists of Pandaria. 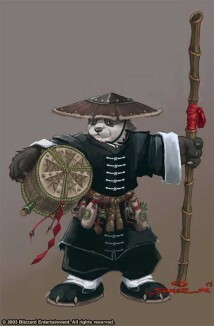 The game also raises the level cap and adds a monk class, combat methods, and pet battles.